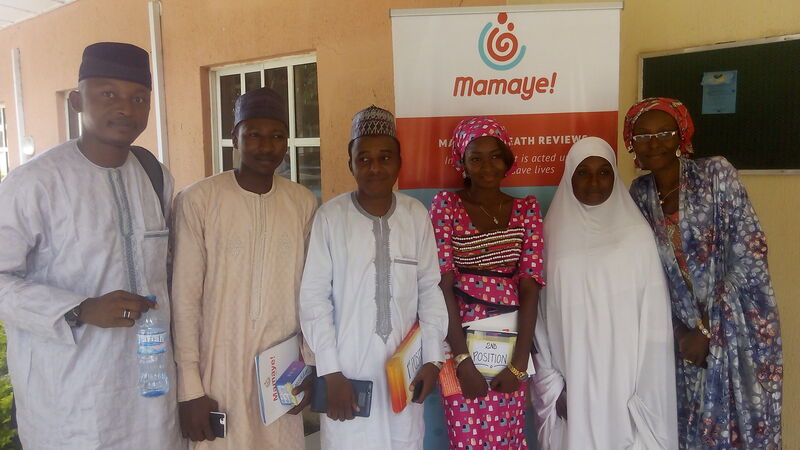 Five students have emerged winners of the Bauchi State Accountability Mechanism (BASAM) for Maternal, New Born & Child Health (MNCH) competition on making maternal and newborn health a political priority in Bauchi State during the 2015 electioneering campaigns. The Knowledge Management & Communication Committee (KMC) Chair of BaSAM Bulak Afsa told the gathering during BaSAM meeting and award presentation occasion on Tuesday October 6, 2015 held at NUJ that the competition became necessary due to the involvement of youth in the campaign for maternal and newborn health in the state. She explained that participants were drawn from 5 different tertiary institutions in the state, who were oriented on how to advocate for maternal, newborn health to political leaders According to Afsa, criteria was used in selection of the best write up on the topic: “Getting a particular political aspirant in your area to prioritize improving maternal and newborn health”. The winners include: Bakura Nazeef, Hadiza Ibrahim, Faith Leka, Umar Abdulrazaq, while Abdallah Dankyarana emerged first position. Dr. Ashiru Adamu Abubakar of Clinton Health Access Initiative (CHAI) encouraged the winners not to relent but put more effort as this is another avenue for them to save lives within and outside our community. Dr. Abubakar who is also among the First Mamaye Champion in Nigeria urged the recipients to remain committed not minding or waiting for prize or encouragement. Speaking on behalf of the recipients Abdallah Dankyarana thanked the organizers E4A-Mamaye, CHR and BaSAM assuring them that they will not rest in their advocacy effort, adding that the gift will encouraged them to do more. What the Senate may ask the Ministerial Nominees?